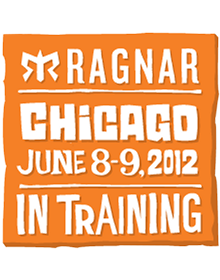 Ragnar is only two weeks 4 days away! Two weeks. I don’t know about all of you, but I am getting pretty excited. I can’t wait to see all my teammates. I can’t wait to run and be sleep deprived. I want to relive it all. But before we get to all the fun and craziness we need to pack and organize. I am sharing my list from years past that has been adapted and updated. Items are in no particular order. Feel free to add suggestions. Medication (if needed. I always pack ibuprofen). Outlet expander (very helpful if you have one. Everyone has things that need to charge). Be smart when packing. There is a limited amount of room in the in vans and inevitably every team will have at least one serial over-packer. I put each running outfit in a ziplock bag. That makes it easy to find and when you are done running makes it so the van doesn’t stink up. I guarantee you need less than you think you do. Start thinking about it. With two weeks to go there are no forecasts out there, but based on recent weather I am guessing a lot warmer than last year. It’s going to be [REDACTED] hot. Definitely. I almost always run with a hat. Can’t believe I forgot that. Thanks. I promise it will be as awesome as it seems. I will make no promises about any sleep. I’d add TP and baby wipes. You never know when you’ll need them. Both are good. We had baby wipes last year. Thanks for adding.